Ever since Adam plucked a bone from his chest (admittedly, to ‘make Eve’ rather than fix dinner), we’ve had a thing for ribs. 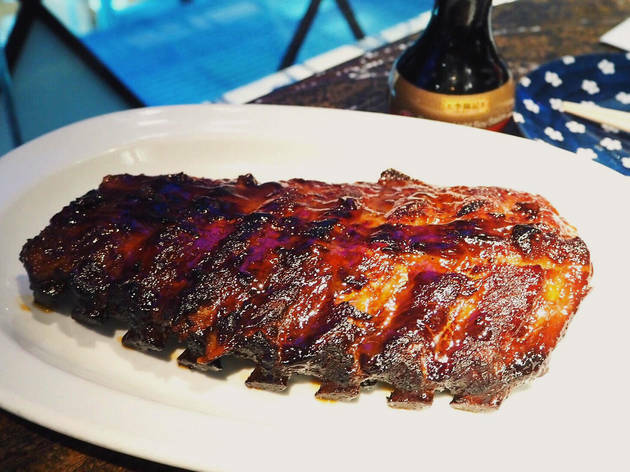 And while the barbecue rib craze has quietened over the past couple of years, a plethora of great restaurants – from low’n’slow Southern States places, to smoky Thai joints, Eastern tea houses and dim sum spots, and muscular trad-British eateries – still serve up this awesome meaty treat in a variety of forms. We’ve gathered the best below. Have we missed somwhere grand? Use the comments box below or tweet your suggestions. 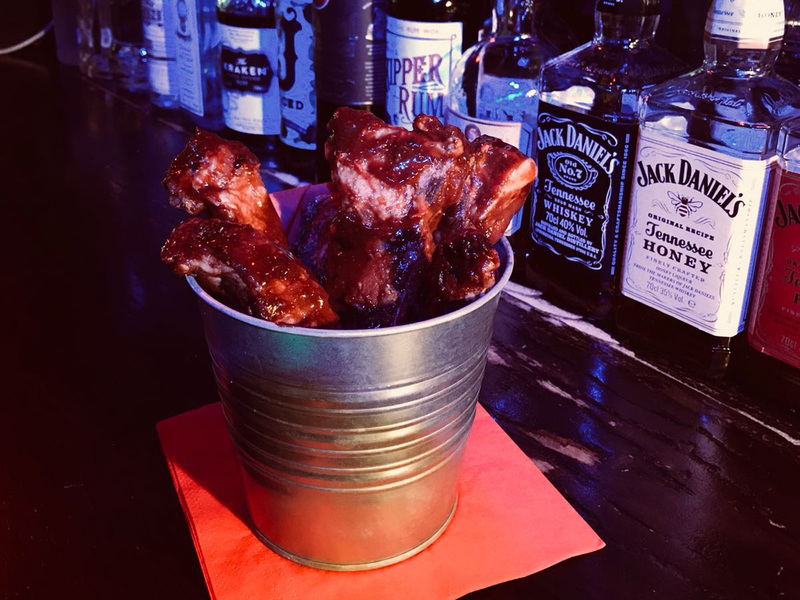 The dudes at this coal-black down-home heavy metal dive bar smoke all their pork long and slow for 12-14 hours, and you can taste the results by ordering a bucket of their lip-sticking ribs with honey and BBQ sauce for a tenner. Awesome stuff to go with dangerous cocktails and pumping jukebox metal. 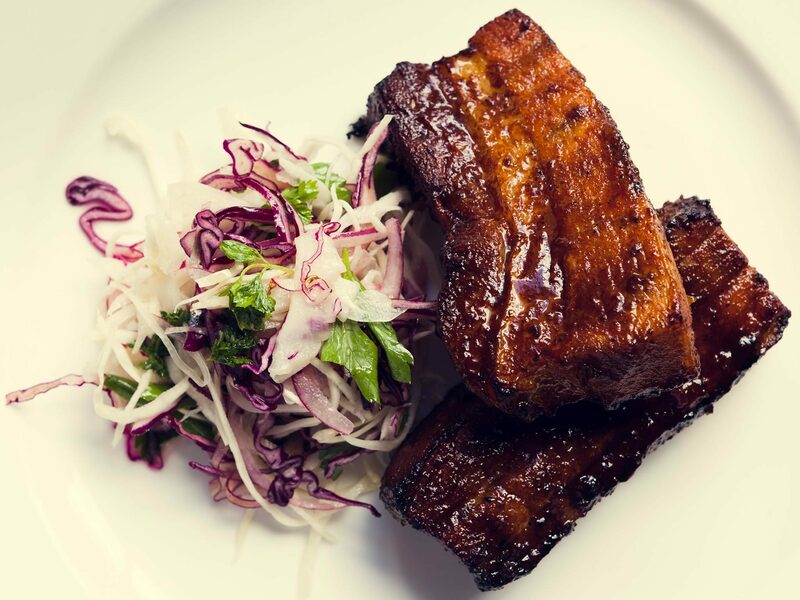 Celebrate Duck & Rice’s delicious mash-up of Soho boozer and progressive Chinese eatery by ordering a big spread including their jasmine-smoked ribs – a ‘hero’ dish with that unmistakable Alan Yau imprint, earthy but modish, Chinese yet somehow global. Wash it down with a pint of Pilsner Urquell from the ‘tank’. 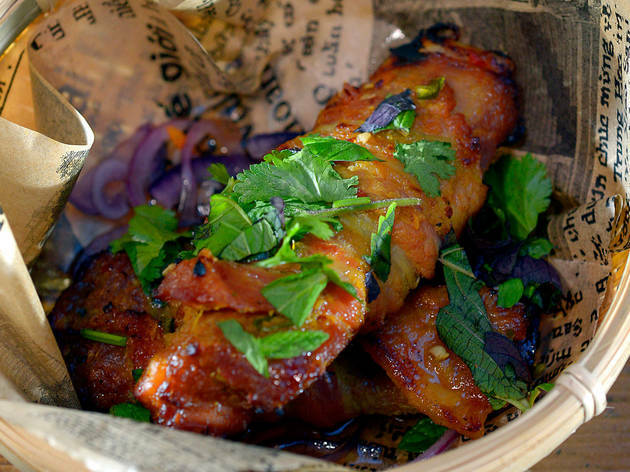 Vietnamese food gets a fashionable twist here, so don’t miss the Saigon pork ribs. 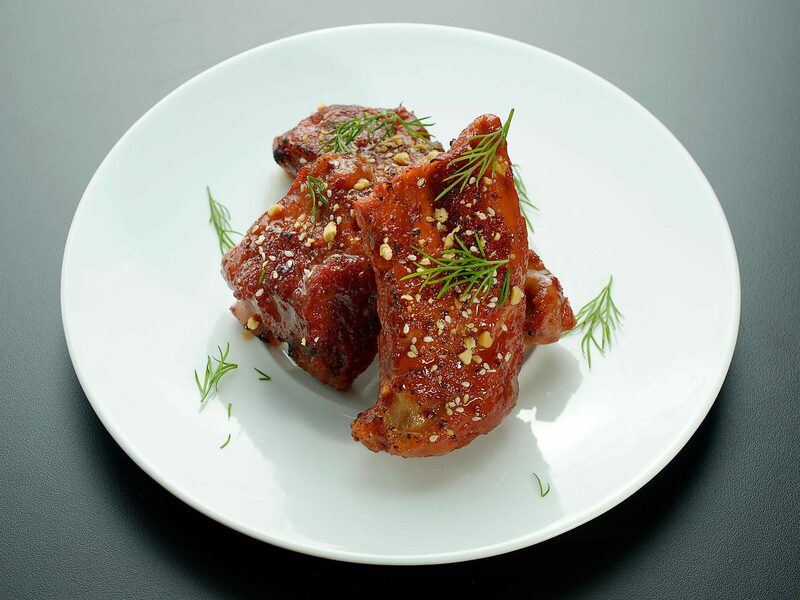 They arrive with a knife and fork, but this is finger-lickin’ food you’ll want to devour with your hands. 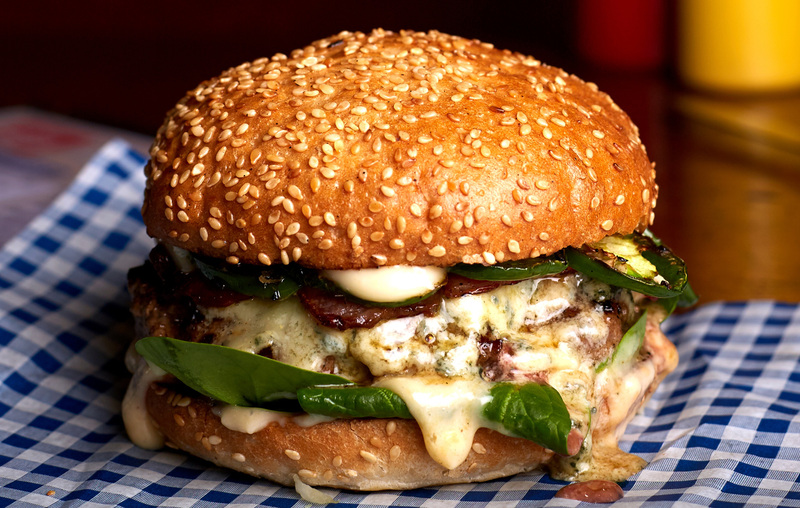 The meat is moist, smoky and sweet with salty undertones, a topping of crunchy peanuts, and some pickles too. 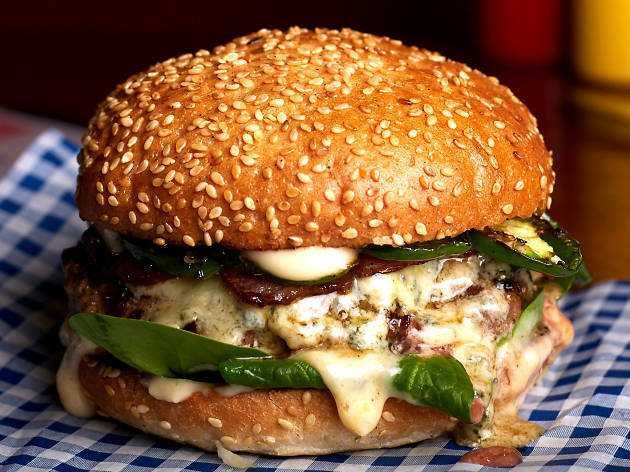 It’s party time at HotBox, so maximise the meat. 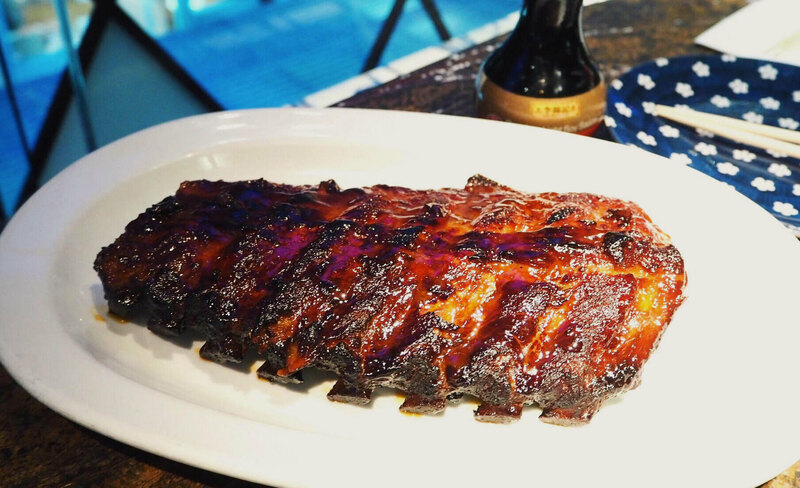 USDA short ribs and mega-spicy pork ribs, we’re looking at you! 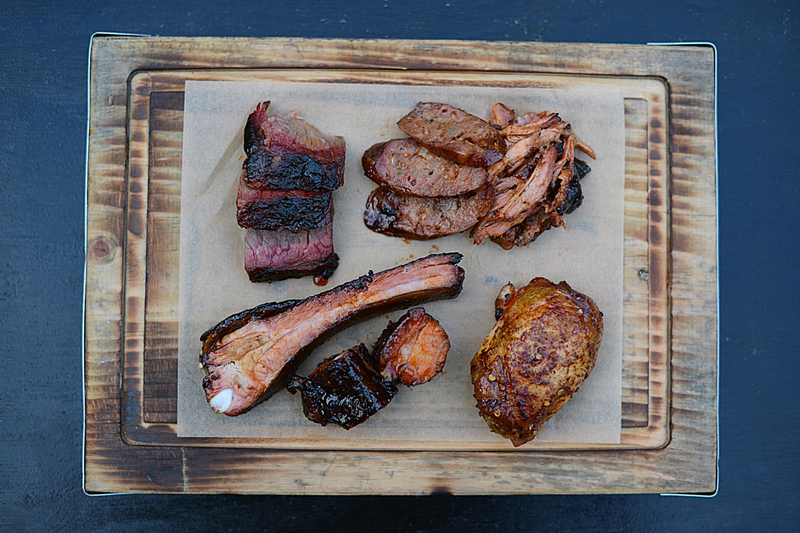 Smoky, sweet and succulent, these dry-rubbed BBQ masterpieces are some of the punchiest around: St Louis gets its kicks from lethal Scotch bonnet chillies – so keep those spice-tainted fingers away from your eyes. Ouch! 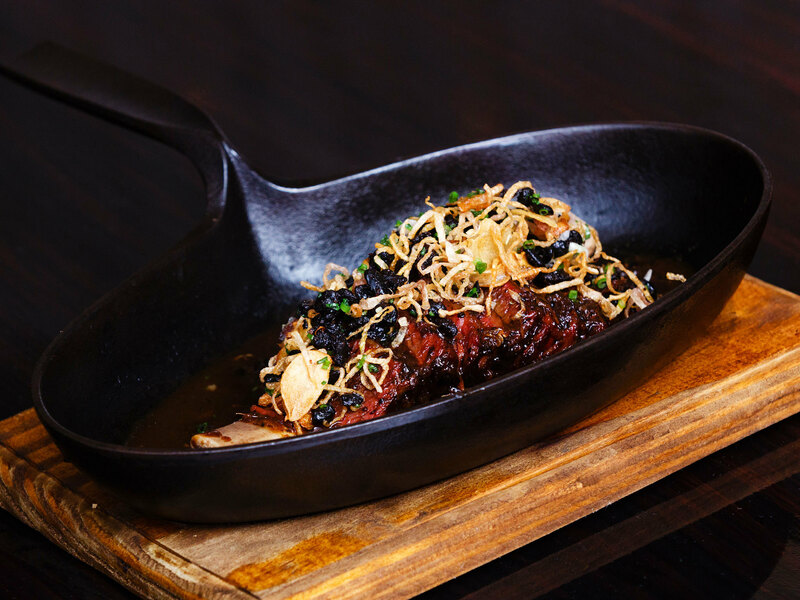 If you want to pig out on beef, contact those Thai BBQ guys at Kiln, book a table downstairs and share the spoils from their grilled beef rib – a mighty meaty prospect served on a board with a chilli hit from nam prik kapi (chilli sauce laced with fermented shrimp paste and lime juice). 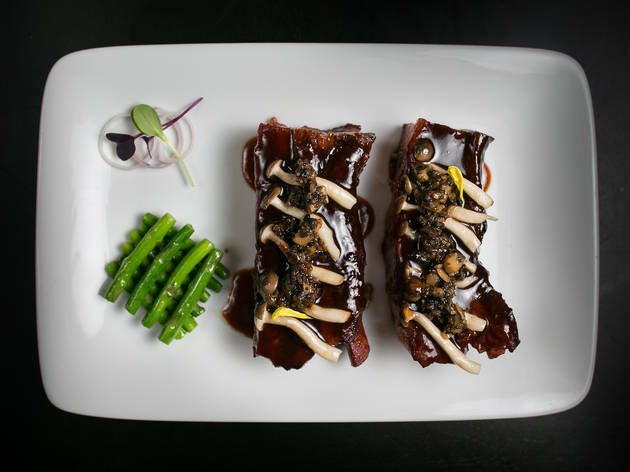 Deliciously smoky, loaded with black beans and finished in lavish Chinese style, these braised ribs are a perfect fit for Park Chinois – a decadent 1930s jazz lounge straight out of old Shanghai. And these bony beauties come to the table in their own frying pan, which holds in all those lip-smacking juices. Venue says Park Chinois is both a luxurious Chinese restaurant and an entertainment-dining venue with live performance and DJ's. 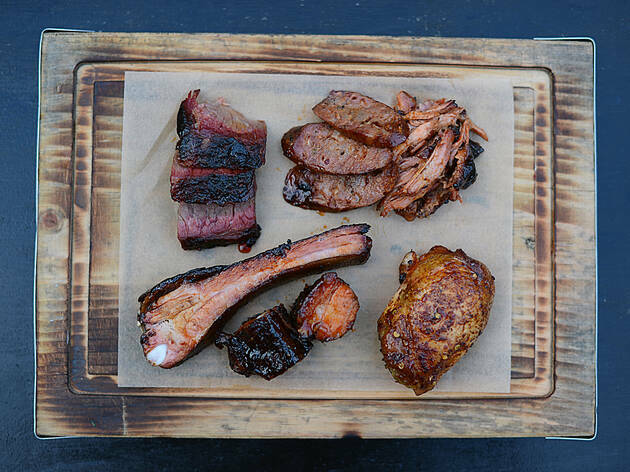 We’re pretty sure these are the best beef ribs in London, carried over from David Carter’s pop-up to this edgy bricks-and-mortar site. 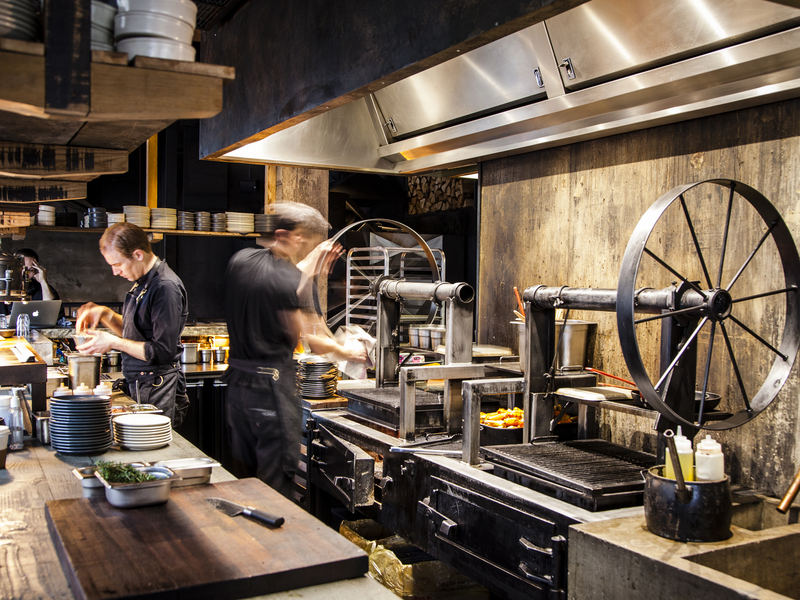 Racks of 30-day dry-aged meat are lavishly seasoned, smoked for hours, glazed on the grill, cooled off, sliced and served. The final gift? A spoonful of pickled red chillies. A ‘messy sauce everywhere’ kind of BBQ joint, this hip Brixton hangout goes big with its chef’s favourites – especially the baby back ribs. 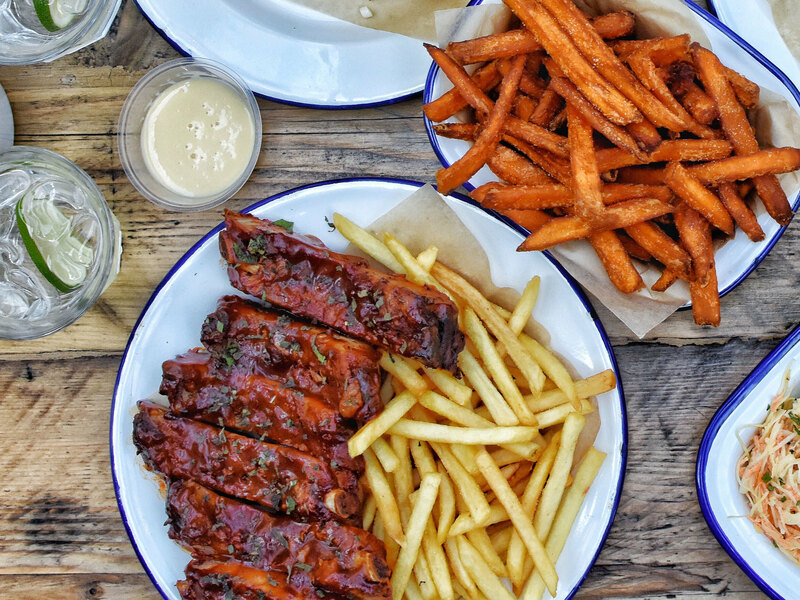 What you get is a hefty plateful of sticky meat with fries, BBQ beans, slaw and salad for just £13. Fancy maxing out? Add a side of BBQ riblets too. 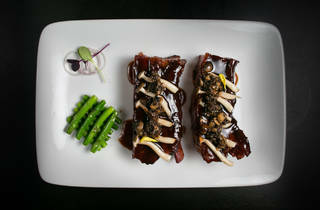 How to dress up those ubiquitous ribs and transform them into something newly minted? 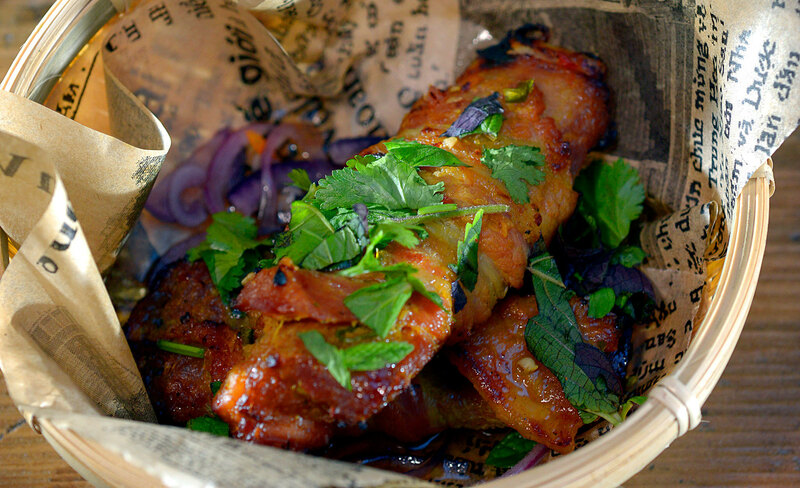 At Viet Food they toss the bony morsels in the wok, then jumble up the sticky meat with sweetcorn, green chives, slivers of red chilli and a splash of mint and chilli sauce. Colour? Yes. Texture? Wow. 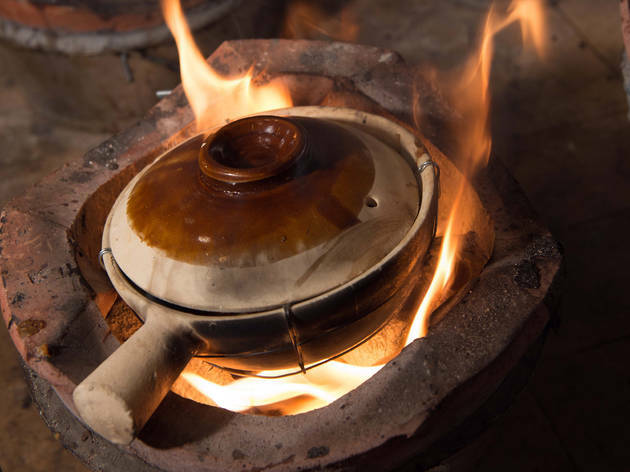 Flavour? You bet!